I’m not entirely sure why I waited so long to start up a Facebook group for the “Zalewski” surname. 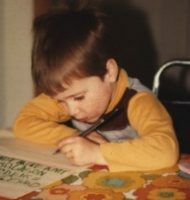 I’ve long been a member of other genealogy-related groups like one for the Corrigan surname, and a few for locations where my families resided, but I never made one myself. So, on a whim earlier this week, I created the “Zalewski Family” Facebook group and invited all of the distant Zalewski cousins I knew about that were on Facebook. Early on, I just posted some generic “Welcome” posts, a bit of info about my Y-DNA, and links to some Zalewski-related stuff I did on my lines. I asked the other members to send over the information that they had on their own Zalewski lines so we could put all of that information in one place and maybe find connections, or map it. A Zalewski group member, whom with I share a mutual friend and also lives nearby, sent me her info. Her Zalewski family also settled in Milwaukee, so we were hoping that there was some connection. Currently, we found nothing, but her family originates in Poland not too far from where I traced my Zalewski family, only about 80 miles away. Another member sent me her info. She is originally from Poland and her family originates from near the northern coast of Poland, also not extremely far from mine. Though, in her message, she mentions that in her grandmother’s notes she has Frank (Francizek) Zalewski and Anna Lindner (my great-great-grandparents) listed as cousins of her grandfather’s father. If that’s true, than I am very close to possibly finding out who Frank’s parents are, one of the biggest brick walls I have. I’m also hoping that many of the members take DNA tests (male or female) for relationship calculations, but getting male Zalewski members would be helpful in tracing the Zalewski lines using Y-DNA. Maybe some future group members will already have been tested. It’s a bit exciting for me. I’ve always been fascinated with my Zalewski ancestry, though most people are more interested in their surname than the others. 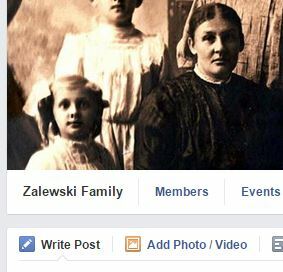 If you are a Zalewski, or you know some Zalewski descendants, and they have Facebook accounts, feel free to request access to the group.